Error: warning: Falling back to java on path. This behavior is deprecated. Specify JAVA_HOME\Common was unexpected at this time. Got this error when starting Elasticsearch for the first time. I have downloaded and setup Elasticsearch on Windows using the zip file provided from Elasticsearch. When I try to start it from the command prompt, saw this error. I have the JAVA_HOME variable under the system variables, but this did not solve the error. Later when I added this error under user variable it got resolved. 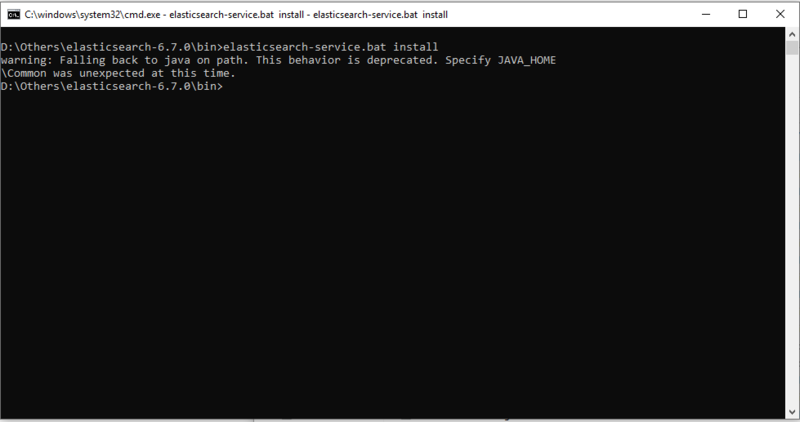 This error occurred as there was no JAVAHOME path available for the Elasticsearch to start. 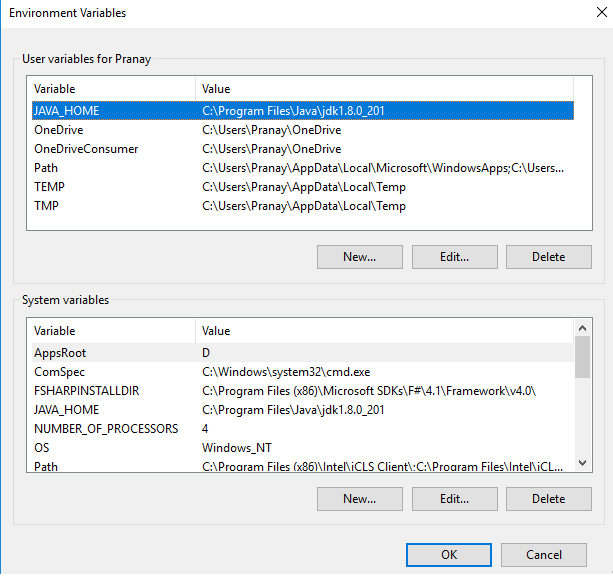 So add the JAVAHOME variable in the Windows environment variable and try to start the Elasticsearch again. Did this solve your error? then get started with Elasticsearch and Kibana by uploading some data to elasticsearch using the below posts. Hope this helps you. Please comment your thoughts.